On Thursday October 12, 2017 Vans welcomed their friends and family to brand new world headquarters in Costa Mesa, California. 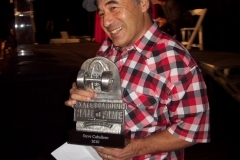 On November 8, 2015 Blockhead Skateboards threw a 30th Anniversary Party at the Link Soul Gallery in Oceanside, California. We were lucky enough to roll through. 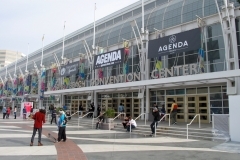 2014 got off to a great start in Long Beach with the largest Agenda Show ever. Click away like you just don't care. 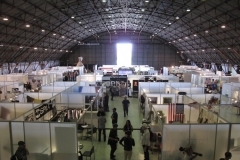 On July 25-26, 2013 the Agenda returned to the Long Beach Convention Center of its biggest show yet. Here are just a few photos from the show floor. The faces of the Snow Industries of America. Some old, some new, some rad, some super rad! These are the booths we\'ve been plundering in Denver. 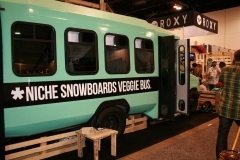 With 19 degree temps outside, everyone was happy to be inside and rolling the warm, cozy aisles of the Agenda Show NYC January 23-24, 2013. Click through and you'll see what we mean. 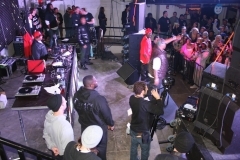 2013 kicked off fast and furious with the Agenda Show\'s Long Beach extravaganza. Here is a very small selection of what we saw. Next time we\'re wearing a helmet cam to capture it all. The Agenda Show cranked it up for Long Beach with 50 new brands, a bigger footprint, and still no bikini girls. Phew. 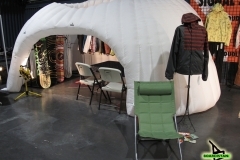 The people behind Surf Expo kicked off a new West Coast Trade Show called Launch LA on Wednesday, July 25, 2012 in the Barker Hangar at the Santa Monica Airport. 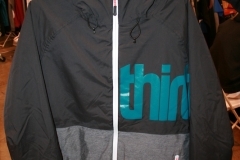 It featured \"California style brands\" and it looked like this. 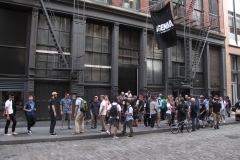 . .
For it\'s third annual appearance in New York City the Agenda Show moved into a new space in Soho at 82 Mercer Place. 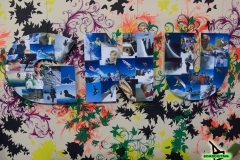 Here\'s a little of who and what we saw. Photos from the 2012 Nike Lowers Pro May 4-5, 2012. 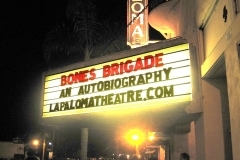 Tony Hawk invited friends, family, and San Diego skateboarding industry heads to view the new Stacy Peralta film Bones Brigade: An Autobiography. 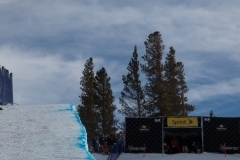 After days of blasting winds and dumping snow, Mammoth Mountain kicked down one of the best snowboard contests of the season with the US Snowboarding Grand Prix. 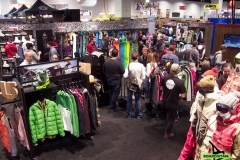 After hours at the Snow Industries of America trade show. Boxing, fashion, hiphop, what more you want. These are just a few of the people you missed seeing if you didn\'t make it to Denver SIA this year. Yes, they\'re all looking good. 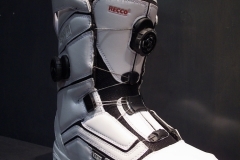 Did we mention all the new snowboard product on the SIA show? Here is just a slice of it. These are the booths that hold the product that make the Snow Industries of America. 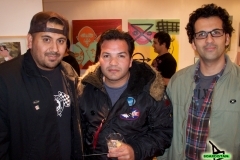 On Saturday night, January 7, 2011 friends of skateboarding and photography gathered at Laguna Beach, California\'s AR4T Gallery to support the opening of the skateboarding photography and art group show Still Life With Wood featuring the photography of James Cassimus, Grant Brittain, Dave Swift, Atiba Jefferson, Miki Vuckovich, and John Humphrey\'s along with art from Jay Croft and music from el mysterioso. 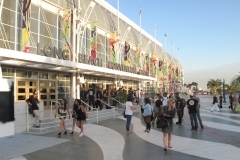 It may be the Agenda Show\'s first time at the Long Beach Convention Center but for many in the industry it was a return to a happy place. Here\'s a glimpse inside. 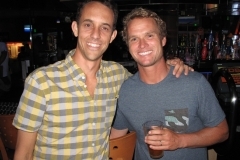 When Rip Curl announced that their 2011 Search event would be in San Francisco, California the skeptics piled on. But on November 7, 2011 they were all proved pretty wrong. 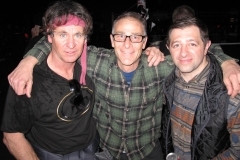 On Saturday, September 24, 2011 Bear Mountain hosted their eighth annual Hot Dawgs & Hand Rails rail jam. Thousands of spectators joined a select group of snowboarders for a great afternoon of fall snowboarding under the blazing sun. Due to a fading swell late in the week Hurley chose to run their entire contest in the first four days of the waiting period. These are a few photos from the finals. 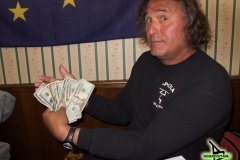 The Agenda Show returned to Huntington Beach August 3-4, 2011. Here are a few of the people we saw and products we handled. In chronological order. 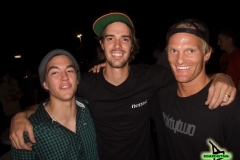 The 2011 Nike 6.0 Lowers Pro kicked off Tuesday, May 3, 2011 in 1-3 foot Trestles surf. It looked like this. 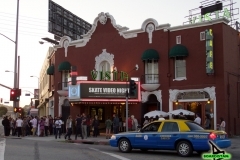 . .
On Wednesday, April 27, 2011 Levi\'s Film Workshop in conjunction with the LA Museum of Contemporary Art presented Skate Video Night at the Vista Theater in Los Angeles. 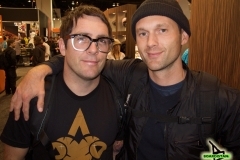 The show featured a collection of seminal skateboarding videos along with a panel discussion with some of skateboarding\'s most influential filmmakers. 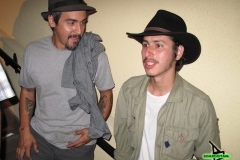 The International Association of Skateboard Companies held their annual summit at the Doubletree Hotel in Orange, CA on April 26-27, 2011. Here are a few photos from the event. On February 7-8, 2011 WWSRA held their Northern California On-Snow demo at Lake Tahoe\'s Alpine Meadows Ski Resort. It looked a little like this. 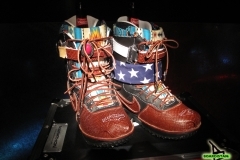 . .
Nike Snowboarding commissioned artists to create art (inspired by music) on some white snowboard boots. The results were surprisingly solid. 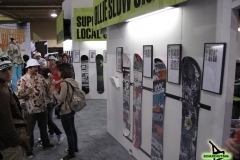 These are the people in our neighborhood, in our neighborhood, in our SIA 2011 snowboard neighborhood. 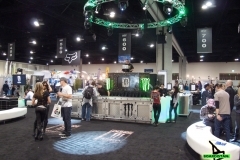 Product photos from the floor of the 2011 SIA Show in Denver. 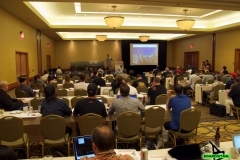 The Agenda Show step up to 80,000 square feet of space at the Anaheim Marriott and the place was packed. Here are a few of the people, places and products we saw on day 1. 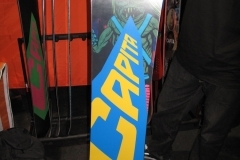 The International Association of Skateboard Companies hosted their second annual Skateboarding Hall of Fame Awards at the Cooper Building in Downtown LA on December 4, 2010. The long awaited premiere of the biopic Who Is J.O.B. at Newport Beach\'s Lido Theatre. Vans\' 6th Annual Downtown Showdown went down on October 2, 2010 on the back lot at Paramount Studios in the heart of Hollywood. Here are a few of the things we saw. September 17-18, 2010 saw the Hurley Pro at Trestles fire back up for Round 3 and 4 on Friday and right through the finish on Saturday. It looked a little like this. 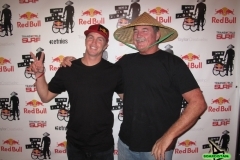 The John Anson Ford Theatre in Hollywood played host to a packed house for Emerica\'s Stay Gold. 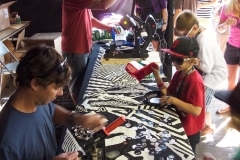 For the first time in its three-year history Sacred Craft was part of the ASR Trade Show at the San Diego Convention Center. We stopped by and snapped a few images. We haven\'t exactly figured out the ASR Fall 2010 show yet, but in the meantime here are some photos from Friday, August 13, 2010. Converse added a little skateboarding to the US Open of Surfing mix the weekend of August 6-8, 2010. It looked a little like this. The weekend of August 6-8 , 2010 saw the Am qualifiers and Pro qualifiers and Finals for the Maloof Money Cup street competition. Photos from the 2010 US Open of Surfing in Huntington Beach. Scenes from Trestles on Friday, May 7, 2010. Round of 48 and 24 of the Nike 6.0 Lowers Pro. 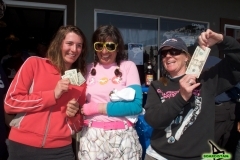 Each year the Tahoe old school gathers at Donner Ski Ranch for some kind of competition and gather. This year it was GS. 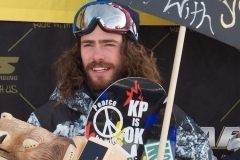 On March 19, 2010 snowboarders, skateboarders, and surfers dropped in at Northstar-At-Tahoe for the Ultimate Boarder snowboard competition. 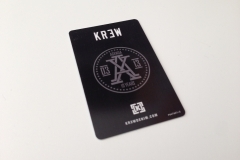 A few product shots from Class/Access/Crossroads. But not that many. Images from the ASR Show in one big pile. Sort through them at your leisure. The ASR Runway Show "A Royal Affair" from the February 2010 trade show. 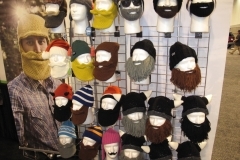 A somewhat serendipitous collection of product from the show in no order. 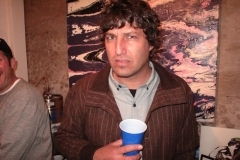 Don't kid yourself; SIA 2010 is loaded with people who are stoked to be in Denver. Here are a few of them. 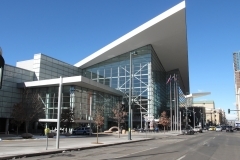 The artistry, the design, the beauty of the SIA Denver 2010 tradeshow booths featured here in all their glory. Scenes from the SIA Apre Shows. Some of the peeps we found inside the WWRSA Pre-Show in Sacramento, CA on January 13, 2010. Ultra spy photos from the Western Winter Sports Rep Associations Pre-Show at Cal Expo in Sacramento, California on January 12-14, 2010. 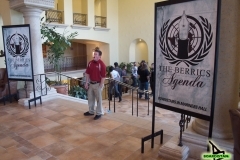 Photos from The Berrics Agenda Show held at the Huntington Hyatt in Huntington Beach, California on January 8-9, 2009. 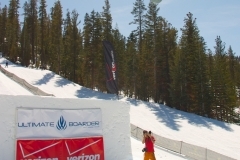 The US Snowboarding Grand Prix at Mammoth Mountain halfpipe #1 qualifiers. 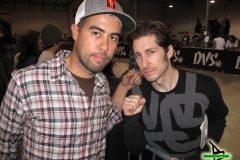 Photos from the 2008 Etnies Goofy vs. 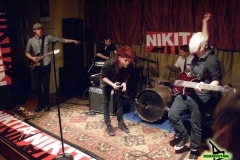 Regular Contest.